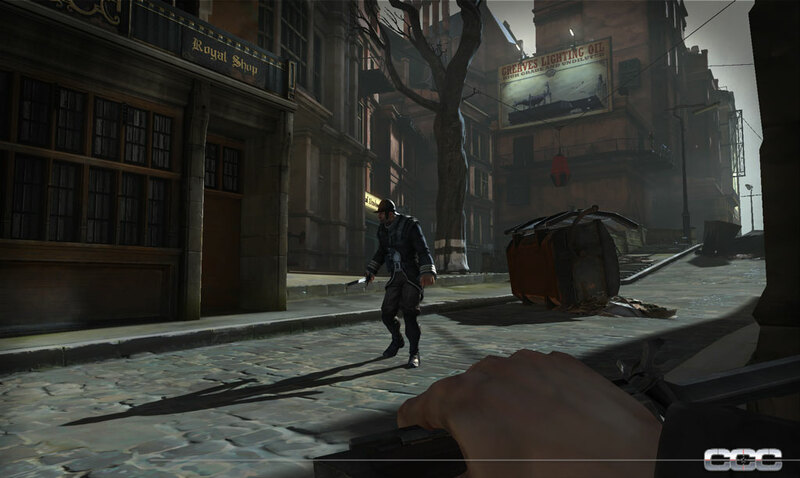 Dishonored is a title that we've been keeping our eyes on since it was first announced last year. During E3, we finally got to get our hands on it, and what we saw reaffirmed our initial excitement about the title. 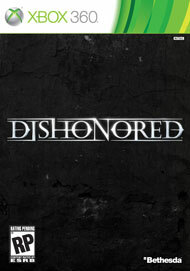 The game tells the story of Corvo, a man who is framed for the death of the Empress and becomes an assassin as a result. 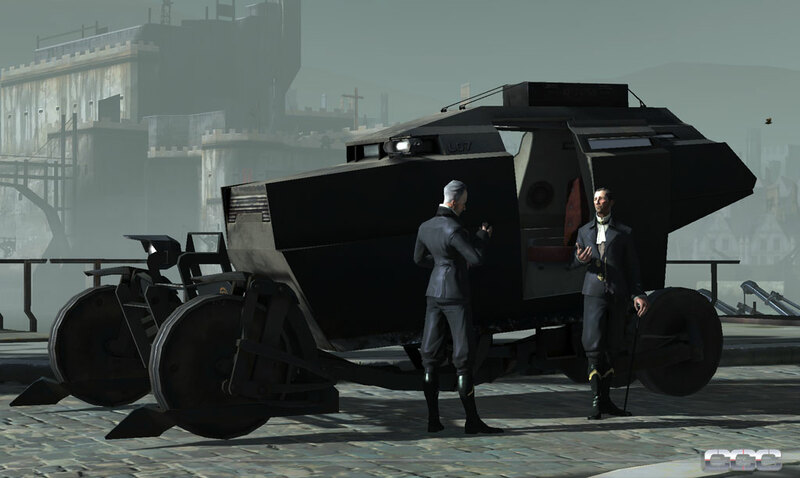 He wears an ominous mechanical-looking mask as he wanders the streets of Dunwall, a steampunk city powered by whale oil, plotting the death of the Lord Regent who framed him. Oh yes, and he has some "magical" superpowers, like the ability to possess the bodies of humans and animals, or to see through walls. 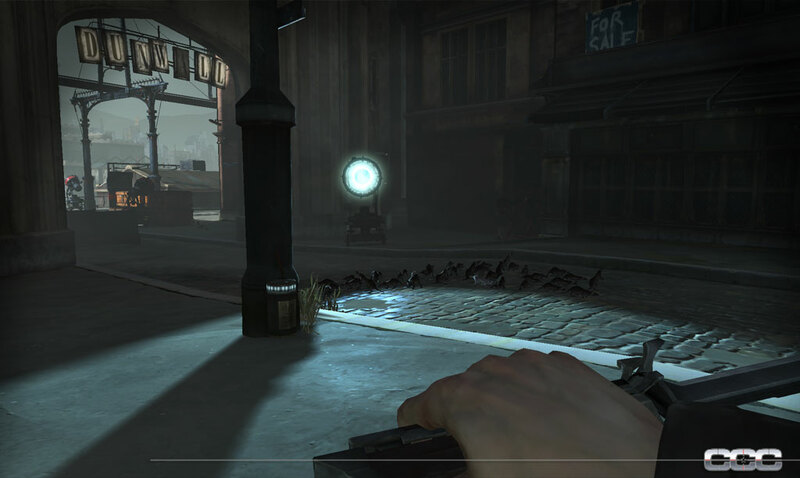 These powers will have to be unlocked throughout the game, but in the demo we were shown, they were all unlocked right out of the gate. 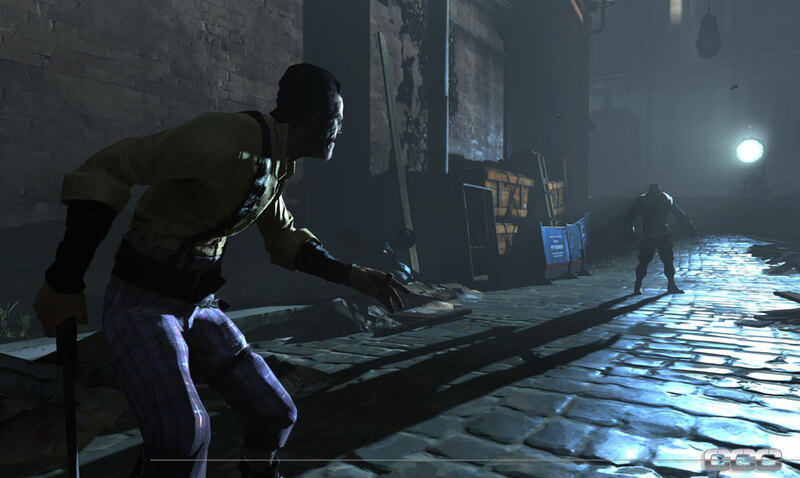 We were shown two playthroughs of the same mission, which involved infiltrating a bath house called the Golden Cat and making hits on two targets, the Pendleton brothers. 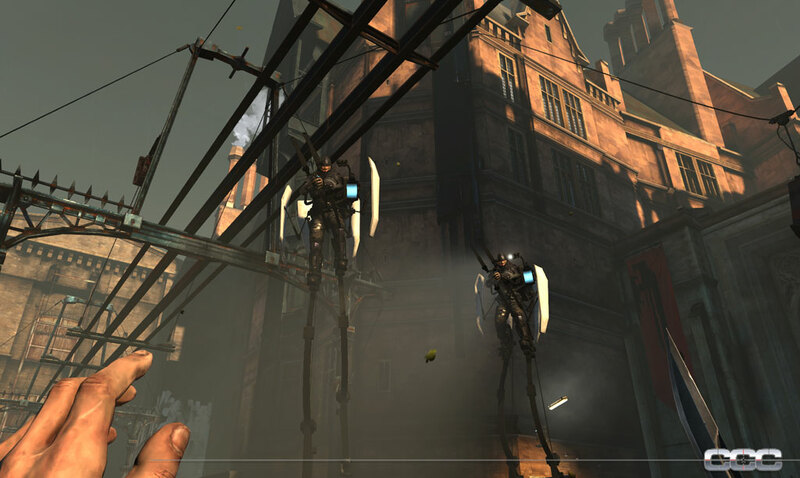 The first time, the goal was to use stealth to kill specific enemies with surgical precision. The player got into the Golden Cat by possessing the body of a fish and swimming through a small drainage ditch under the building. 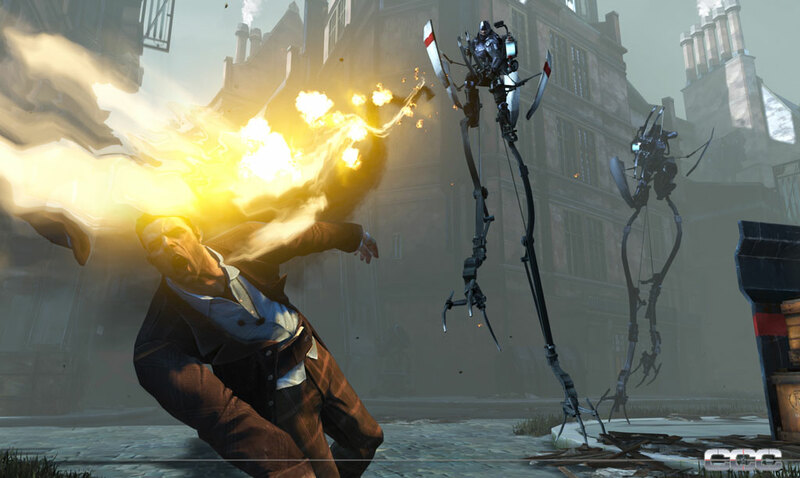 As Corvo snuck around, we were told that enemies will get lightning bolt icons over their heads that indicate that person's level of awareness to your presence. 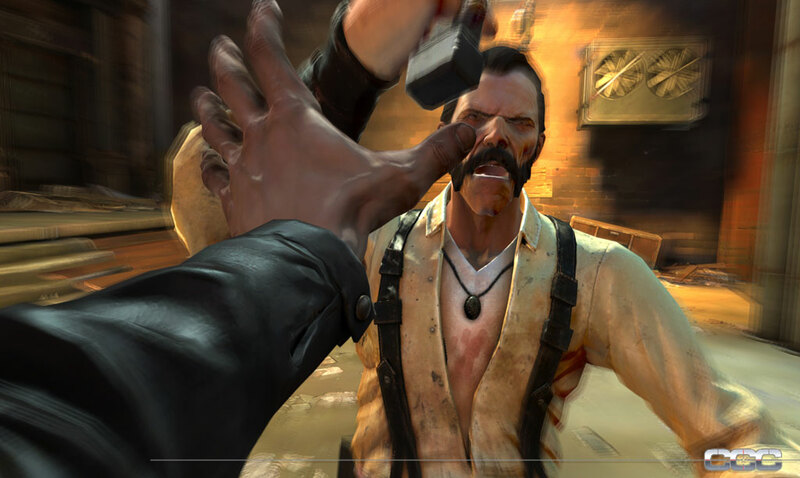 He bodysnatched the first Pendleton brother, then forced him to walk out onto a balcony where Corvo was able to slit his throat without arousing suspicion. 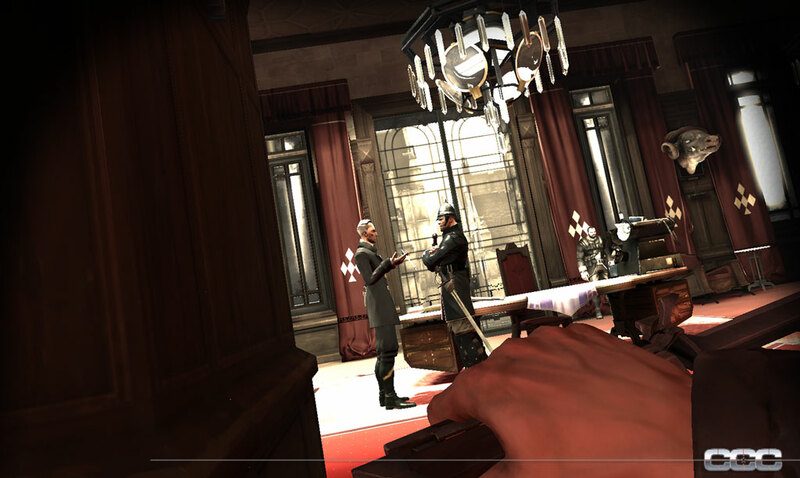 The other brother was found in a steam room, and Corvo turned a valve to turn up the steam and essentially cook the brother alive. The second time, though, the player was as brutal as possible, popping off guards with his crossbow, stabbing them in the back, and even decapitating them. 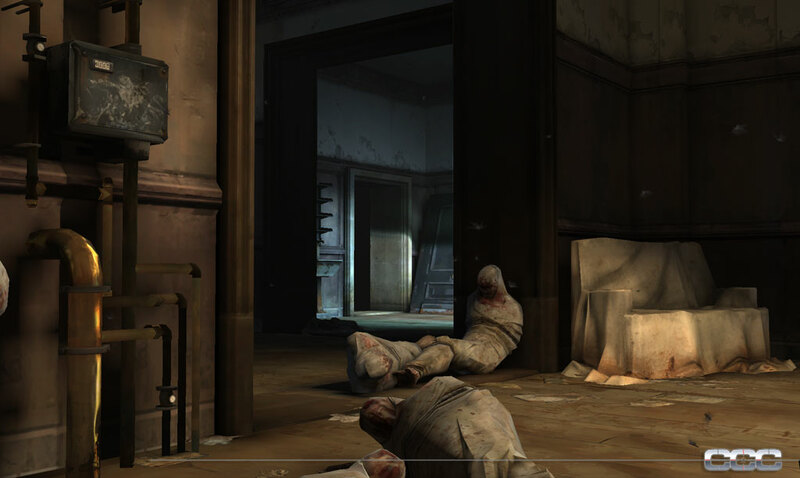 One cool thing we noticed was that when he shot a guard in the leg with his crossbow, the guard reacted dynamically, falling to the ground as his injured leg collapsed under him. Another cool feature we saw during the brutal gameplay session was called a drop assassination, which is exactly what it sounds like: a death-from-above stealth kill. After watching the demo, we were able to hop into the game for some actual hands-on time. 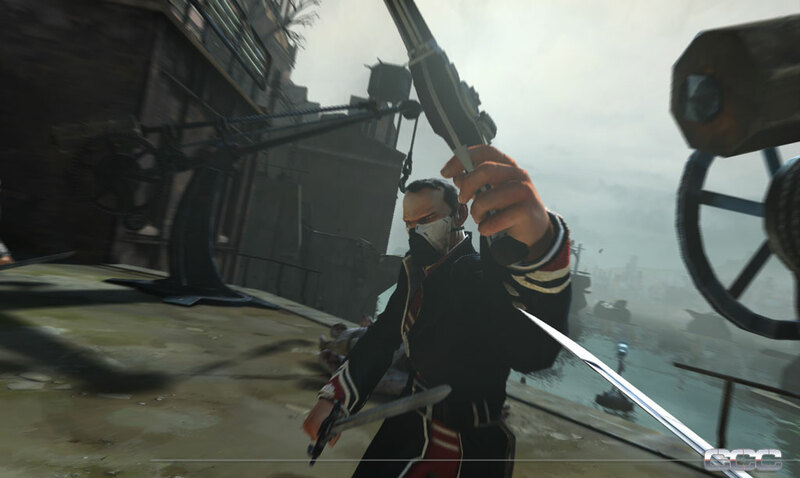 Dishonored feels almost like a cross between BioShock and Skyrim. In your left hand, you wield your abilities (possession, teleport, etc.) and weapons (a pistol, a crossbow, etc. ), and your right hand is dedicated to your knife. You can bring up a skill/weapon wheel at any point to re-equip a new skill in your left hand, but using any magic-type skill burns the equivalent of a mana bar and using any projectile weapon consumes ammo. Moving around the city feels really good. We spent a lot of our time sneaking around rooftops, eavesdropping on random civilians. There are dynamic conversations happening all over the city, and they actually bring to mind the ambient conversations in Skyrim. Overhearing particular conversations will give you new information on the location of your target, and your mission objectives will automatically be updated as a result.